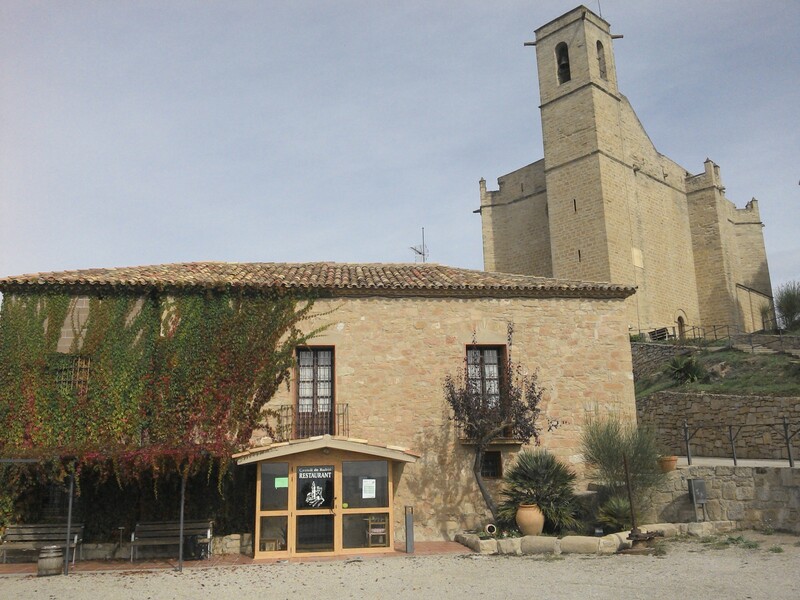 GR7 in Northern Catalunya – hang onto your hat. A sign set me on the route…. … unexpectedly scrambling down a steep and slippery limestone path. It has been dull and damp here for a few days but the sun is out now and the forecast good. Pleasant lanes led me past scattered farms, there seems to be more barking dogs than humans. Leaving the lanes a path through woods brought me to a natural gap with the old road and now a motorway to cross. 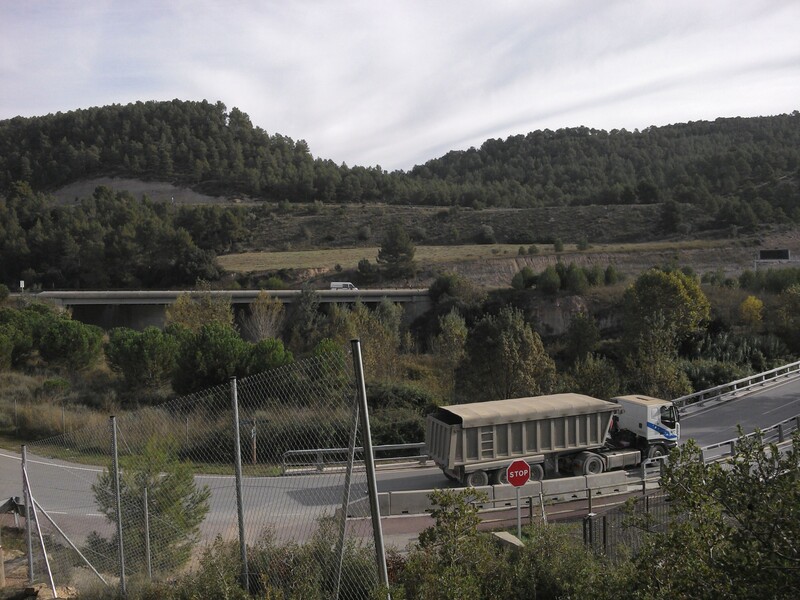 Motorways in Spain fill me with navigational dread, often little provision has been made for the walker, give me a mountain top any time. I spotted a fading mark in time and dissapeared under the road. 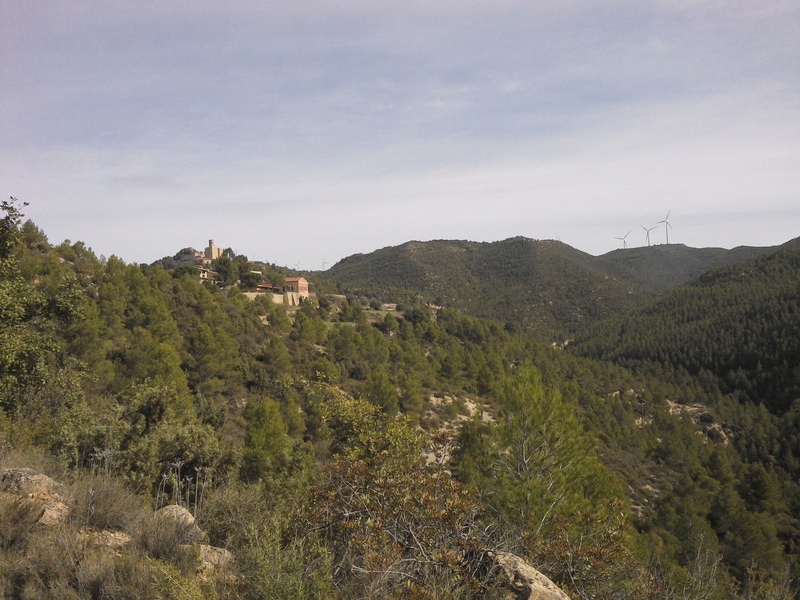 Good walking on woodland tracks took me up to a higher farming area with views up to Rubio castle up the valley and all those wind turbines! I was soon up to the deserted village, there was water and the terrace of the closed restaurant was as good as any for lunch. 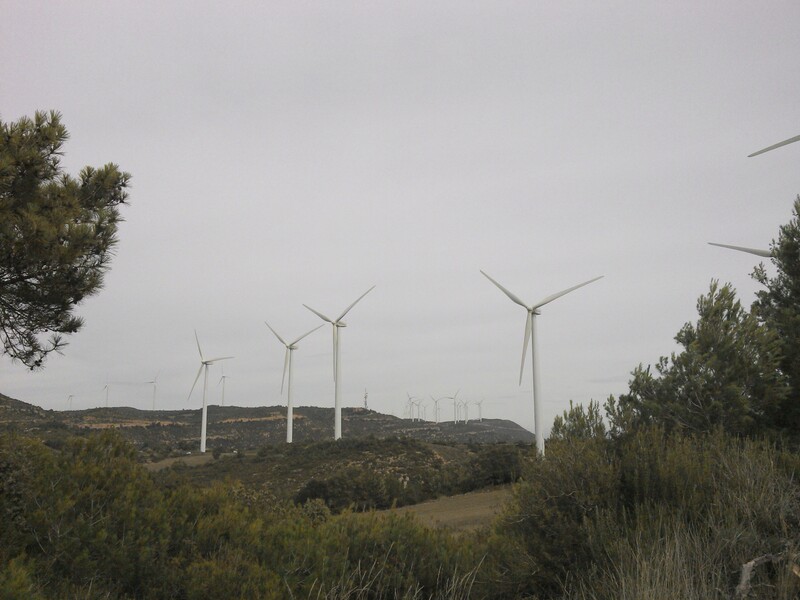 Now roads not shown on the map threaded through the eerie whirling turbines.Up on the ridge a fierce wind was blowing, they have chosen well! It certainly was a case of hang onto your hat, or better still remove it. 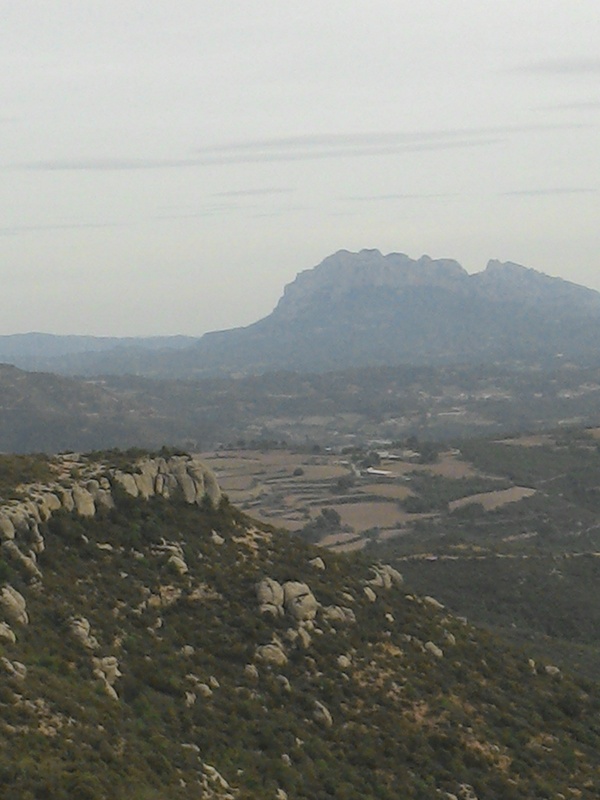 I had my last view of the Sierra de Montserrat serrated skyline. A well signed and cleared path dropped down to the the refuge Mas del Tronc, the dogs gave me a great welcome as did Raquel the guardian. 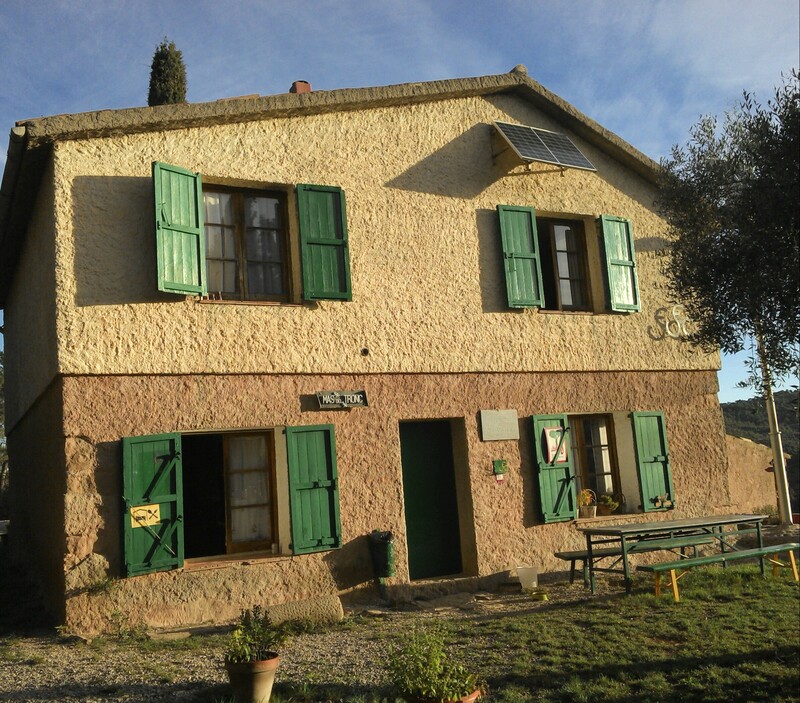 .This building was originally a farm, it was restored in 1969 to be used as refuge.There is a standard dorm and a spacious dining/common room. There is only minimal electricity from a solar panel. It is ironic that the place is surrouned by electric generating turbines. 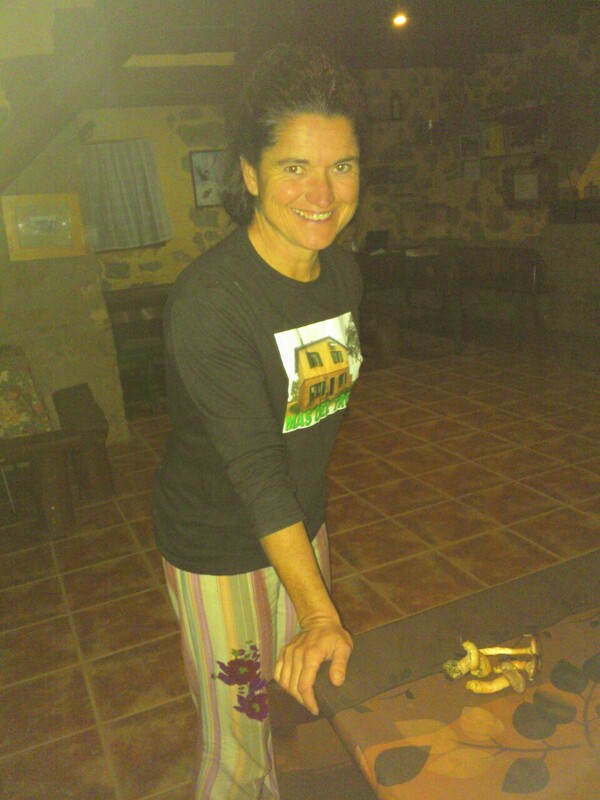 For supper we had a wild mushroom stew, it is to be hoped Raquel knows her fungi. This was followed by fresh figs in yoghurt – delicious. We were the only two but people kept dropping in from nowhere for a chat in this remote spot. Slept for 10 hours. 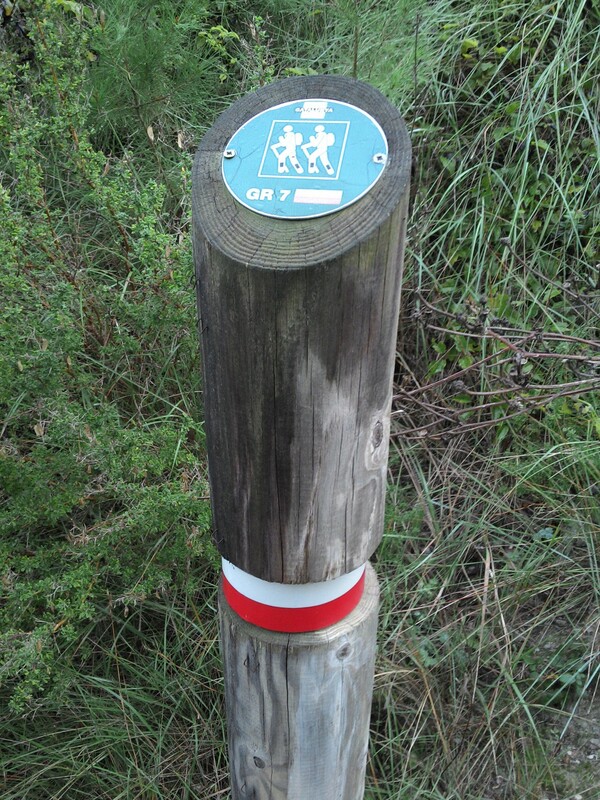 This entry was posted in GR7 Spain, Long Distance Walks., Walking. and tagged GR7 Spain, Long Distance Walks, Walking. on October 16, 2014 by bowlandclimber. That sounds great. It is good to go just out of season when places are still open but not busy. I hope you have survived your meal and if so not hallucinating too much. Still alive! One of the best refuges I’ve stayed in – mind you I was the only guest. Looks like we are in for an Autumn heatwave here.25+ will just have to grin and bear it.